With a stay at Aparthotel Almonsa Platja in Salou (Salou City Centre), you'll be a 5-minute drive from Llevant Beach and 9 minutes from Aquopolis Costa Dorada. 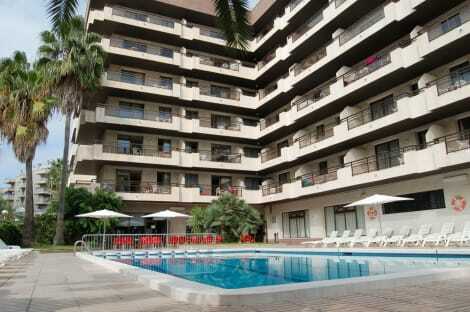 This apartment is 1.9 mi (3 km) from PortAventura World and 1.8 mi (2.8 km) from Ferrari Land. Make yourself at home in one of the 69 air-conditioned rooms featuring kitchens with refrigerators and stovetops. Rooms have private furnished balconies. Plasma televisions are provided for your entertainment. Conveniences include safes and microwaves, and housekeeping is provided weekly.